I am officially appointed as the Social Media Monitor for 2013 Election by Election Commission of Bhutan since 10th March 2013. I will be working under office of Media Arbitrator in Chubachu with a team of media experts and a lawyer. I have willingly agreed to undertake this role because of my love for social media. Now I can official be on twitter, Facebook, YouTube, blogs, and online forums for 24 hours without upsetting my wife. But I also have fear of being misunderstood by my cyber buddies-you might start thinking I will be policing on you and restrict your freedom on social media but in reality we are as free as ever as long as we follow rules. And ECB Social Media Rules and Regulation of the Kingdom of Bhutan, 2012 has nothing more than ordinary rules we follow in life, what makes it different is it stresses on election. It's just a question of few months for the sake of Free and Fair election. "Promote the responsible use of Social Media..."
"Ensure a level playing field for all contestants..."
"Prevent and Control any violation of the Electoral Laws in the use of Social Media in elections." Every user of the Social Media shall have the responsibility to carry out oversight duty and report to the election authorities any violation of the laws, in particular the Election Code of Conduct by a Political Party, Candidate, Voter, media, electoral officer or worker of a Political Party. No individual shall communicate/transmit/post hate messages or any content with intent to defame or reduce the electoral chances of an opposing contestant or Political Party. A Party, Candidate or their supporters shall not include rumour or unsubstantiated statements that have potential to mislead or deceive the reader, listener or viewer. "The office of the Media Arbitrator shall put in place facility to monitor the Social Media forums effectively during the election and be responsible to arbitrate all media related disputes." "An ISP shall be required to put in place a system that can lawfully intercept and provide the necessary information on the identity of social media abuser using its services"
8.2 An online poll on support or opposition to Political Party or Candidate shall not be permitted during the Election Period. No one shall publish, broadcast, or transmit any item that is of the nature of election campaign supporting or opposing any Political Party or Candidate. 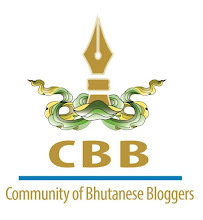 **The views expressed on this blog are my own (except the Quotes) and not those of the Election Commission of Bhutan or the Office of Media Arbitrator. It's for my fellow social media users for information. Glad to know that you are now an officially appointed media monitor for, and on behalf of, the ECB. With legally sanctioned cyber sleuths like you swarming the virtual world keeping tabs on what we say and write, I am suddenly feeling exposed and vulnerable. I have to worry if it is safe to cast my vote for fear that my political leanings may be monitored and be used against me sometime in the future. I know you read the Social Media Rules and Regulation and understood how far we are going to go in monitoring the social media. You are someone who could even explain to me. We are just going to keep record of election related posts/tweets/blogs for verification in times of Media related disputes, and in no way we are going to conduct study of anybody's political inclination, isn't it illegal? Of all, ECB won't do this. Thanks for the comment. It will clarify doubts of many. congratulation! U have become a social media monitor- I guess the work u love to do.